Not too long ago I commissioned a very talented friend of mine to draw a picture for me to use on my blog and Facebook page. 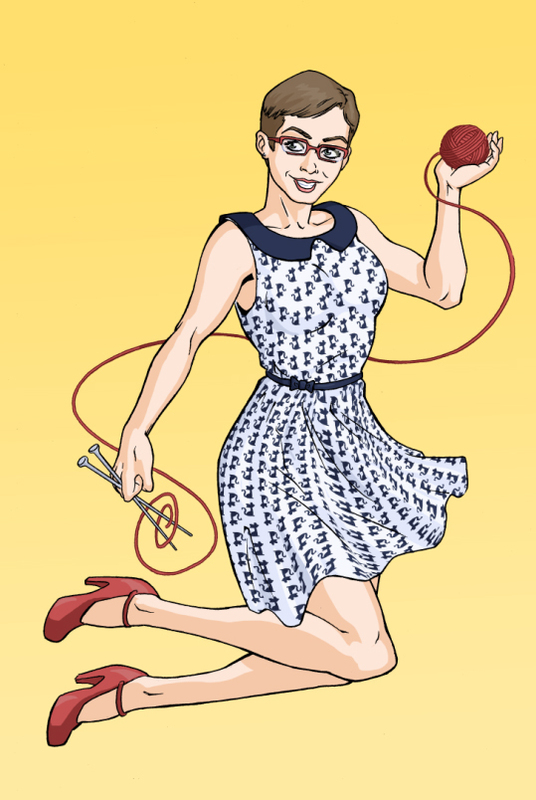 I crochet more than I knit but because I’m “The Whole Knit and Caboodle” I asked him to draw me with knitting needles. I’ve been aware of his talent for a long time now but I’m ALWAYS impressed with what he comes out with. This one looks just like me! I showed it to one of my girlfriends and she suggested my husband get it as a tattoo.. his very own pinup girl! He wasn’t so hot on the idea. “Nothing a bottle of ether and a tattoo artist willing to work on an unconscious guy won’t fix! !” was my friend’s response. Ha! I love my friends.